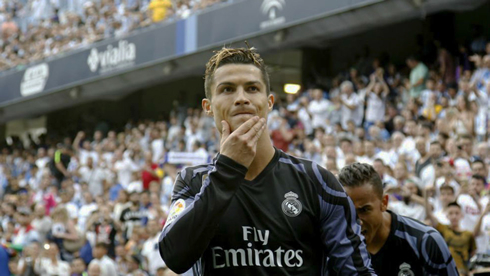 ﻿ Malaga 0-2 Real Madrid. The king gets his throne back! 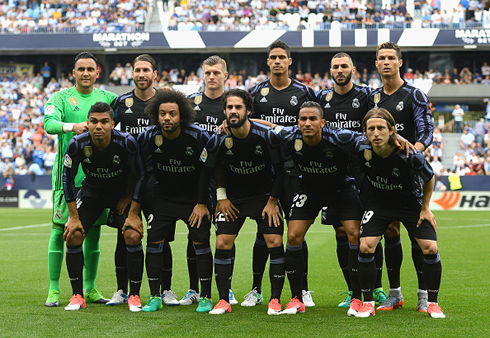 21.05.2017 » Malaga 0-2 Real Madrid. The king gets his throne back! 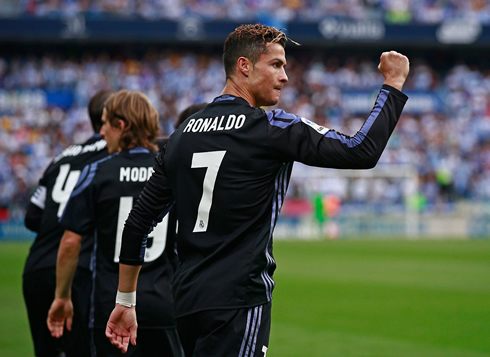 Real Madrid has won the Spanish League 2016-17 this Sunday evening, after beating Malaga by 2-0 and preserving their 3-point lead over Barcelona. Cristiano Ronaldo scored the opener right in the second minute of the game and Benzema sealed the deal later in the second. Real Madrid are the new Spanish champions following their 2-0 win away from home against Malaga and a 3-point advantage over Barcelona on the top of La Ligastandings. Just like in many other games this season, Cristiano Ronaldo stepped up to break the deadlock and put his side on a more comfortable position. His partner in crime, Karim Benzema, scored the second from a dubious position shortly after the break and Real Madrid then basically held the lead through the rest of the game. 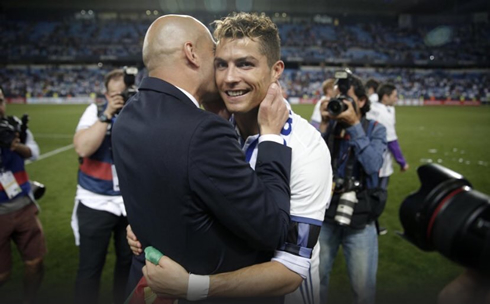 It's the 33rd Spanish League title for the club, the second for Ronaldo. One more final this season now and it's Juventus on June 3 for the Champions League glory. And there it is, Real Madrid have secured their 33rd league title with a 2-0 win over Malaga on the last matchday of the season. Cristiano Ronaldo and Karim Benzema were the match winners tonight, each scoring a goal in either half to put the league title beyond all doubt. Barcelona took care of their end of the bargain, beating Eibar 4-2 after being 0-2 down, but it didn't matter as Zinedine Zidane's men can now celebrate the club's first league title since 2012. Real Madrid fans had been nervous all week in anticipation of this game, but within a few minutes they could breathe as CR7 scored in the 2nd minute from an Isco through ball. Ronaldo has been on fire in the past few weeks and again, he came in clutch! In goal, Keylor Navas would be quite busy, as Sandro had a few dangerous shots on goal. On the other end, Kameni, who has been a bit of bogeyman for Real Madrid, was doing his best to keep the score the same. In the second half however, Benzema would put it beyond doubt getting on the end of a rebound to put it away 2-0. There was a hint of offside but minimal at best. 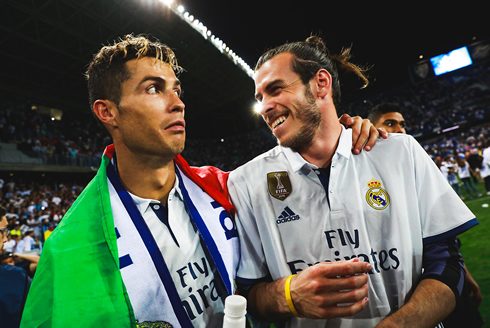 Malaga would push on at times, even outshooting Real Madrid over the course of the game, but the Merengues resisted and were able to hold to the lead and secure La Liga. What a season it's been for Madrid! They've been the best team in the league showing a level of consistency and focus that we've lacked in recent years. Now onto the Champions League where Los Merengues will face another team that secured their league title today: Juventus. It will be a classic game of attack vs defense, but for now, Real Madrid just have to think about Los Cibeles and partying with the fans tonight. A fantastic season comes to a fairytale end! Cristiano Ronaldo next game is the Champions League final on June 3 of 2017 against Juventus. You can watch Juventus live stream, Juventus vs Real Madrid, Barcelona vs Alavés, Ajax vs Manchester United, Arsenal vs Chelsea, and Eintracht Frankfurt vs Borussia Dortmund, all matches provided from our soccer live game pages.